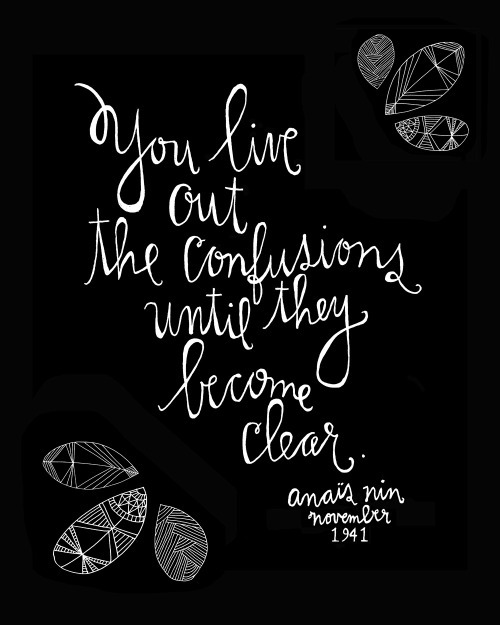 Diary excerpts selected by Maria Popova, illustrated by Lisa Congdon. Details and prints at the link. Edith Windsor’s historic phone call with President Obama, marking the legal dawn of marriage equality. 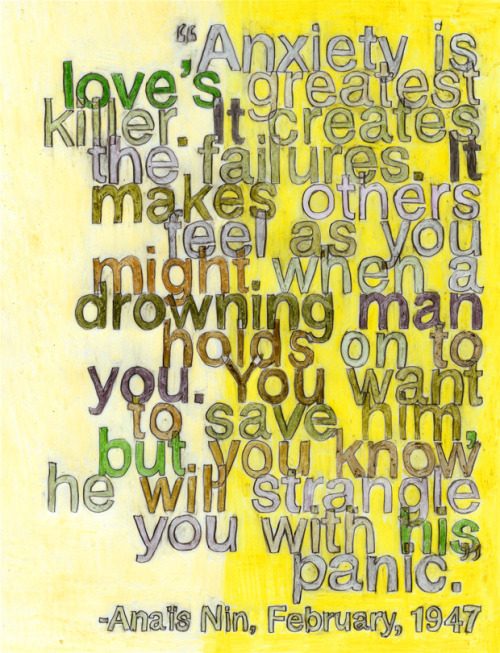 Illustrated by Debbie Millman. 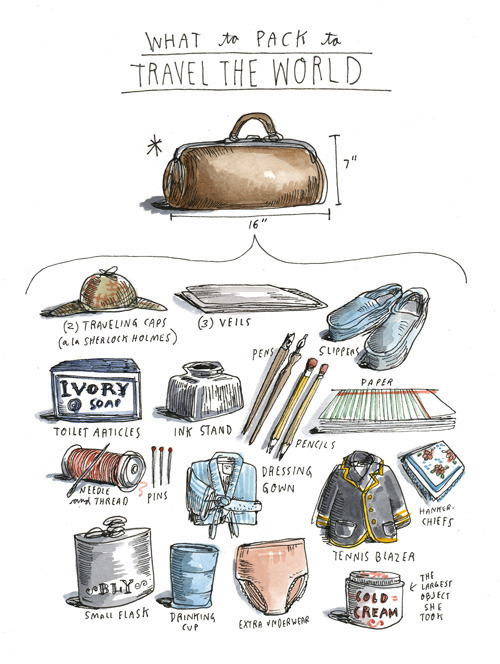 How to pack like pioneering Victorian female journalist Nellie Bly. Concept by Maria Popova. Illustrations by Wendy MacNaughton. Details and prints, benefiting the Women’s Media Center, at the link. 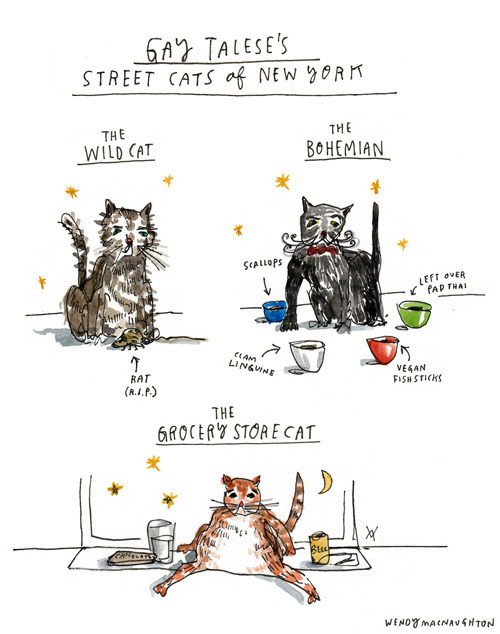 The Street Cats of New York A 1961 taxonomy by young Gay Talese…. A 1961 taxonomy by young Gay Talese. Concept and direction by Maria Popova. Illustration by Wendy MacNaughton. 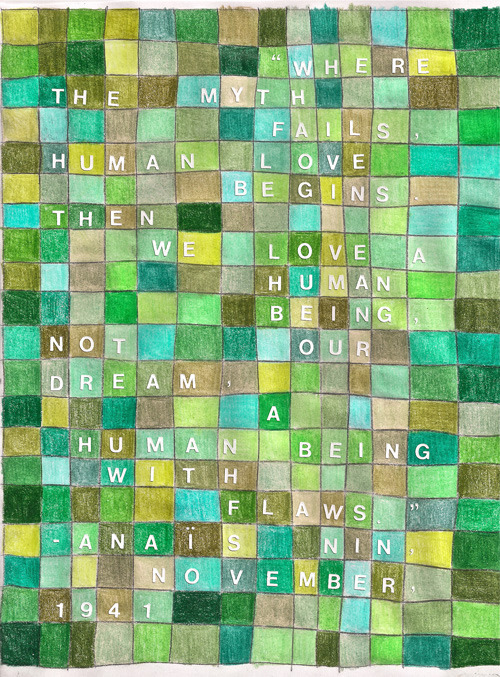 Diary excerpts selected by Maria Popova, illustrated by Debbie Millman. Available as a print, with 100% of proceeds benefiting A Room of Her Own, a foundation supporting women artists and writers. Details and prints at the link. 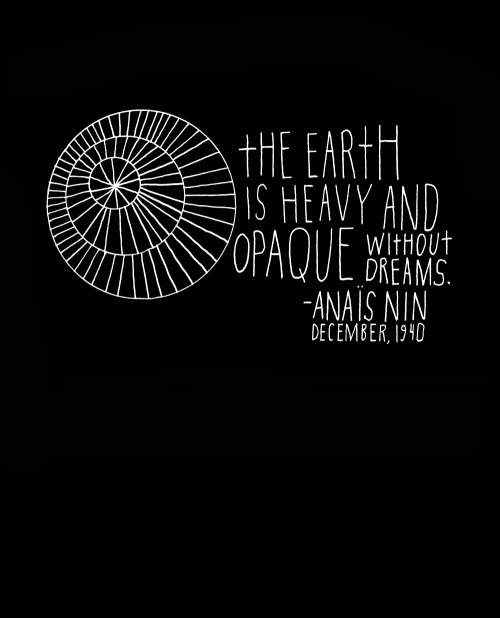 Diary excerpts selected by Maria Popova, illustrated by Debbie Millman. Available as a print, with 100% of proceeds benefiting A Room of Her Own, a foundation supporting women artists and writers. 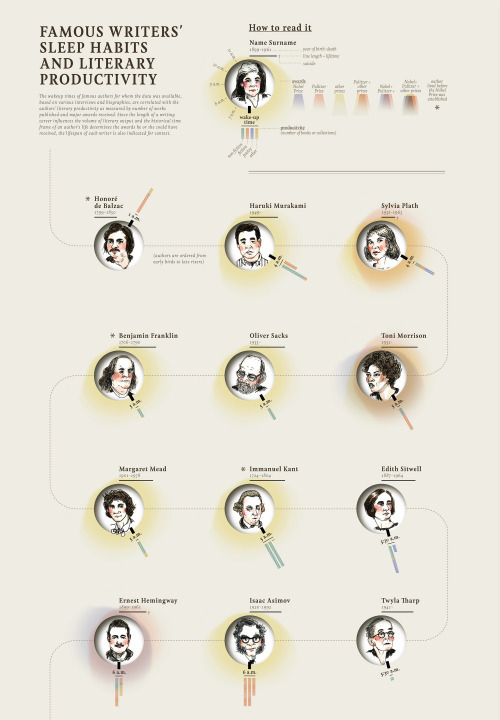 Concept and direction by Maria Popova. Data visualization by Accurat. Portraits by Wendy MacNaughton. Full graphic + prints at the link. 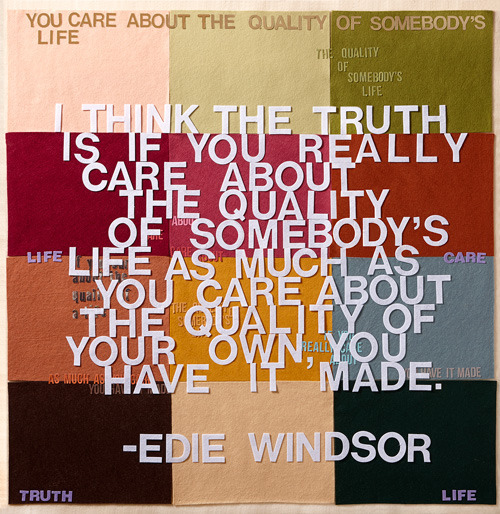 Words of wisdom from a TIME documentary, illustrated by Debbie Millman in gold leaf and felt letters on hand-quilted felt. Details + prints at the link. 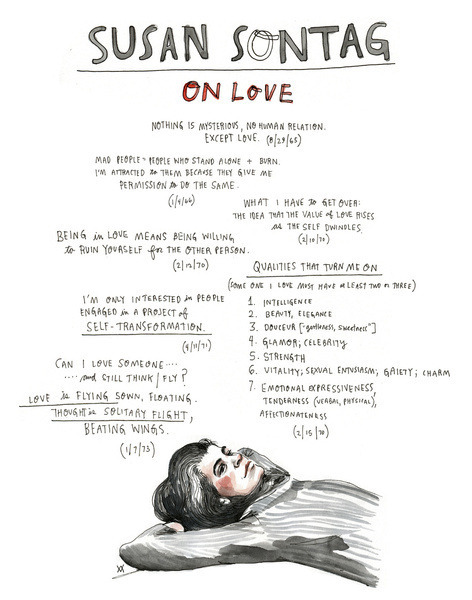 Diary excerpts by Maria Popova, illustrated by Wendy MacNaughton. A portion of the proceeds benefit A Room of Her Own, a foundation supporting women writers and artists.